Like the embracing warmth of a fine symphony, this Gift Arrangement will envelop the recipient with its rich abundance ! 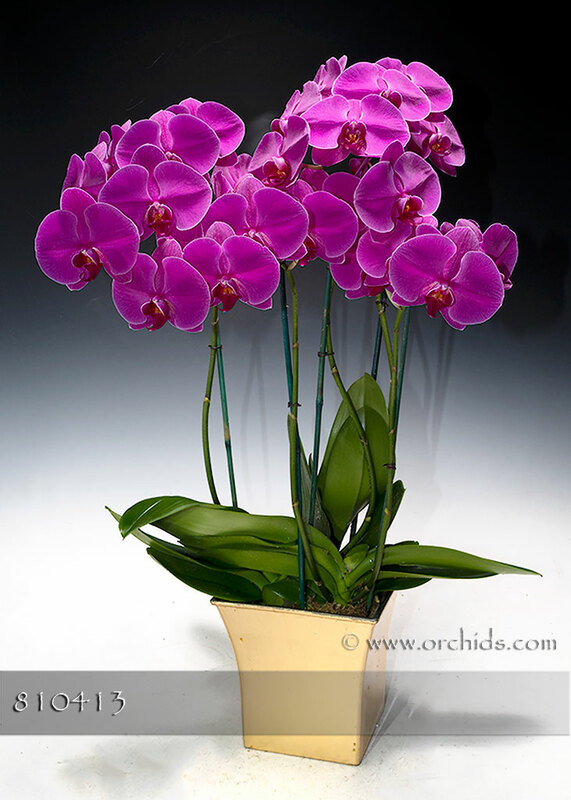 Our designers will hand-select three of our most gracefully cascading “pink symphony” orchids and artistically arrange them in our modern Euro cachepot. Further adorned with a faux vine weaving among the flower spikes and finished with a fluffy bed of jade Spanish moss, this arrangement, standing 28-31” in height, is sure to lift anyone’s spirits !